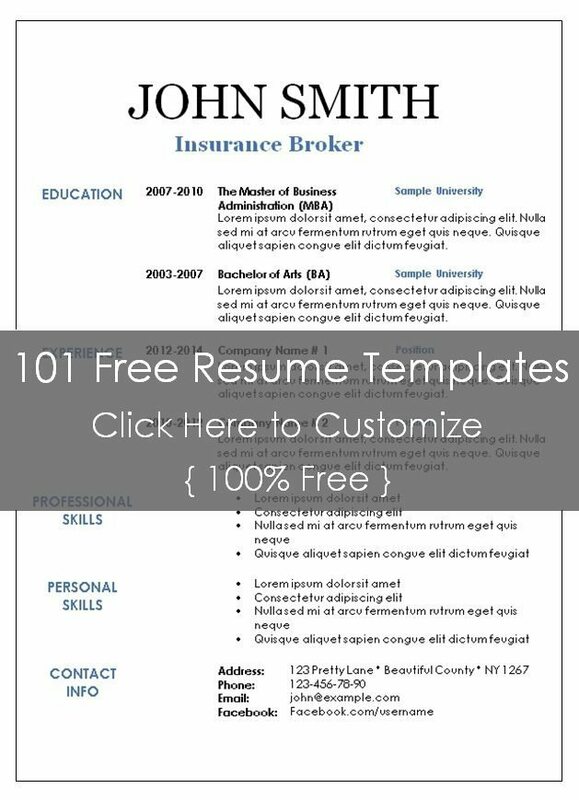 This free resume template is traditional yet introduces a bit of color to add interest. 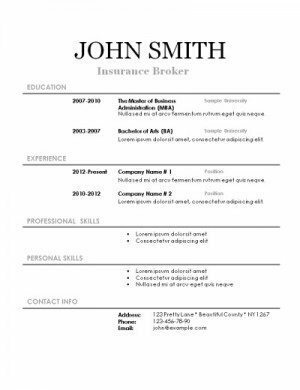 It opens in Microsoft Word to enable you to edit. 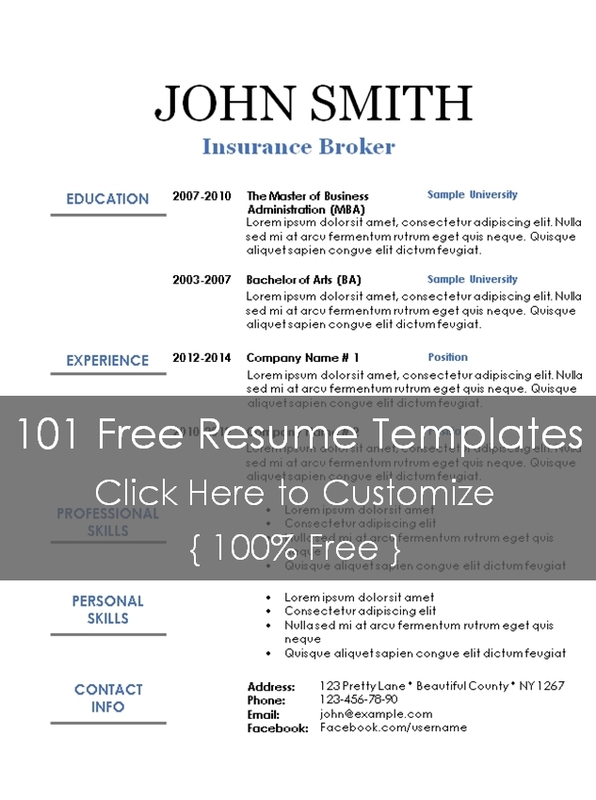 You can change the color from blue to black or to any other color that you want to use. 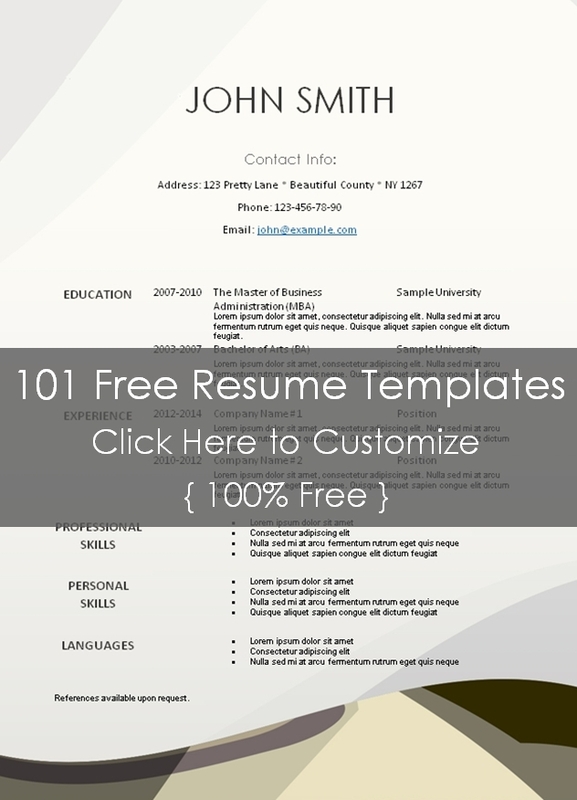 If you are looking for a very simple resume template design then this might be your answer. 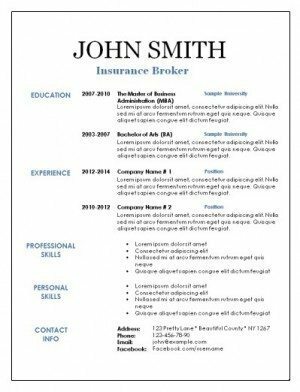 It has a black border, simple layout and the eye is quickly drawn throughout the resume as a result of the good use of white space and blue titles. This resume has a bit of color which makes it stand out but it is more subdued. 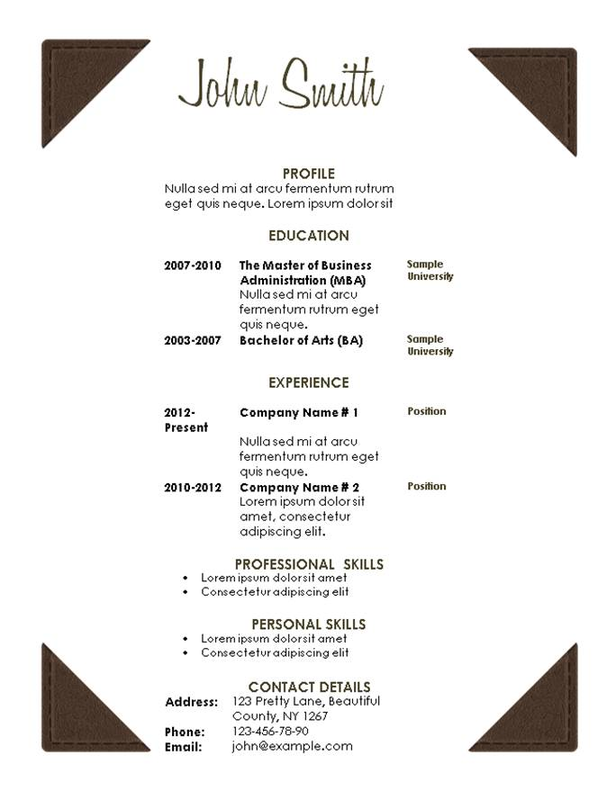 This is an elegant resume template with a textured background. 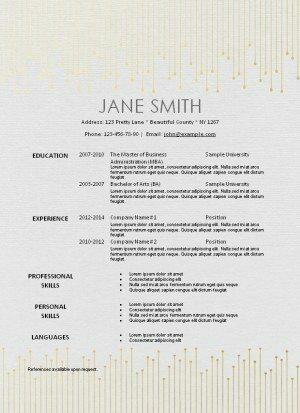 You can print it on regular printer paper and get that textured expensive look. The gold stripes add an exclusive elegant look. 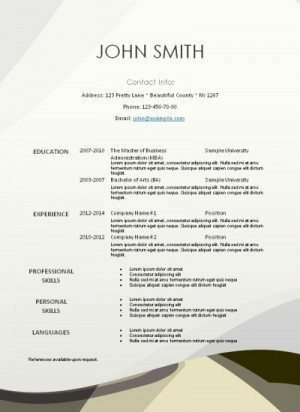 This resume has a plain white background with black text. 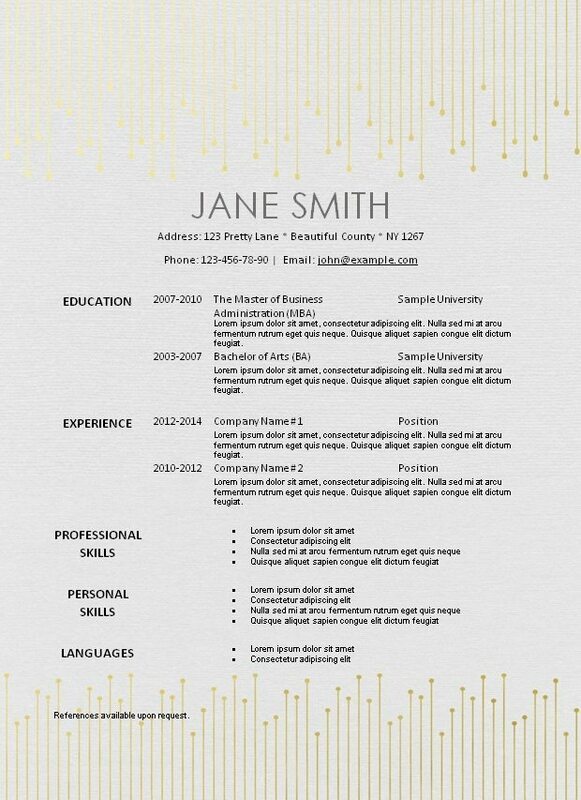 The brown leather corners add interest and give the resume template a luxurious look.